Qualification : Three years Diploma in the relevant trade recognized by the Directorate General Civil Aviation or Group “X” Diploma issued by the Indian Air Force; Preferably two years relevant aviation experience after completion of Diploma course. 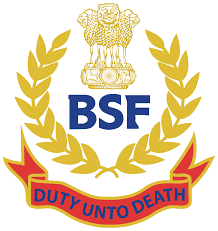 Fee : Each application should be accompanied a Demand draft /Postal Order for Rupees 100/-(Rupees One hundred only) as examination fee in favour of Commandant 95 Bn BSF, payable at SBI Badshahpur (Code-02300) or Post office Bhcndsi (HR). However, fee is exempted for all women candidates and candidates belonging to Scheduled caste, Schedule tribe, BSF Candidates & Ex-serviceman. Fee once paid Will not be refunded under any circumstance. Labels: Central Government Jobs , Jobs in BSF.